This is the second one day special train to help to demonstrate the interest in a regular service between Okehampton and Exeter St Davids. A chance to enjoy Shakespeare country who's birthday is celebrated two days later. Alternatively Inspector Morse City of Oxford. Chance to enjoy Shakespeare country who's birthday is celebrated two days later. Alternatively Inspector Morse City of Oxford. 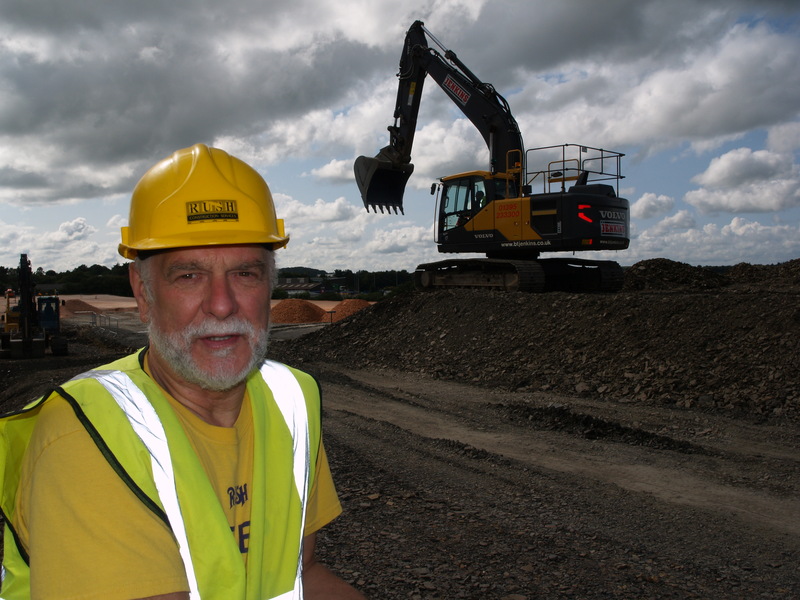 Groundworks for a car park have been carried out on Devon County Council land for the "Okehampton Parkway" station – just two minutes from the A30. During the election campaign the Secretary of State Chris Grayling announced the plan to reintroduce a trial rail service between Okehampton and Exeter by the end of 2018. Devon County Council is working closely with GWR, Dartmoor Railway, Okehampton and OkeRail on the design of the required infrastructure for the station. at the site of the proposed new Okehampton railway station. Are you stuck for ideas for the kids Summer Holidays? Fancy a ride on of the Dartmouth Steam Railway Steam train to Kingswear? What about a beach trip to Dawlish or Paignton? Would you like a totally hassle free shopping trip to Exeter or Plymouth - with free parking? Then tear out and keep these train times! Depart Okehampton at 09.55, change at Exeter St Davids and arrive in Totnes at 11.15. Then take a 5 minute walk to the South Devon Railway to catch a Steam Train. Alternatively have a short walk into the town to look through all the small independent shops. Return to the station for the 1550 departure. Arrive back in Okehampton at 17.19. Fare £7.80. For Steam Railway please check with South Devon Railway. Depart Okehampton 09.55, change at Exeter St Davids and arrive at 11.45 (4 minutes earlier at Torquay). Have nearly 4 hours in Paignton or take a trip on the Steam train to Kingswear and return for the 15.45 train back. Fare £7.80. Check Dartmouth Steam Railway for timetables and fares. Depart Okehampton at 09.55, change at Exeter St Davids and arrive on the coast 11.18 Teignmouth. (Slightly earlier for Dawlish and Dawlish Warren.) You will have plenty of time to enjoy the seaside, walk along the sea front or peruse the shops. Return by walking to Dawlish station and catching the 15.14 home. Over 3 hours at the seaside. You will be back in Okehampton by 17.19. Depart Okehampton at 09.55 and arrive in Exeter Central at 10.39. No need to return till the last train back at 16.32. This gives a maximum time in Exeter of nearly 6 hours! Return to Okehampton at 17.19. Depart Okehampton at 09.55. Change trains at Exeter St Davids or Exeter Central and arrive in Exmouth at 11.17. Return at 15.55 giving nearly 5 hours on the beach and looking around the shops. You will be back in Okehampton by 17.19. Depart Okehampton at 09.55, change at Exeter St Davids and arrive in Plymouth at 11.42. Quicker than the bus! Well over 3 hours to explore the shops, the Hoe or the Barbican. Depart at 15.25. return to Okehampton at 17.19. OkeRAIL train the Royal Oke hits the national news! OkeRAIL’s historic Royal Oke train service between Okehampton and London arrived just 30 minutes late in spite of the passengers having had to change trains at Exeter due to a technical problem with the line. 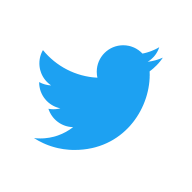 Not only was it fixed by the time that they made their return trip in the evening but OkeRAIL found that what had started as a local news item was promoted to headline news on the BBC and other media. Just before 8am Royal Oke pulled out of Okehampton bound for Crediton Exeter and London Paddington. However within a few minutes the carriage wheels developed track adhesion problems due to the lack of use of the track. Remarkably, GWR had a replacement train ready for us at Exeter so only minutes were added to the journey time. There was an extraordinary family atmosphere on the train. 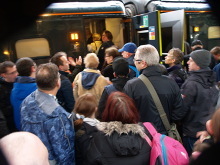 People had come from all over the South West to join the train. They were going to London for an amazing range of reasons. Visits were made to the Shard, the Science Museum, the London Eye, Westminster, the David Hockney exhibition, long-lost relatives or to find out about orchids at Kew Gardens! All the sort of things that ordinary people expect to do routinely but currently seldom can if they live in North Devon or Cornwall as it can take up to 10 hours traveling by car and train. 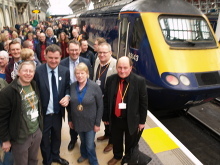 Once in London a delegation of OkeRail members supported by Mel Stride MP met the Under Secretary of State Paul Maynard who welcomed the train at Paddington. He indicated that he found the argument for the line reopening “compelling”. Hundreds of passengers signed up to participate in signing petitions, seeing their MPs and pressurising their local councillors to get regular services running between Okehampton and Exeter once again. Moral of the tale? Don’t let’s wait another fifty years before running the next High Speed Train to London. Not only does the lack of regular trains spoil the track - it isolates communities and businesses in our region. Over 250 people attended the first OkeRAIL Public Consultation event – including our MP Mel Stride, the Mayors of both Okehampton and Hatherleigh - and attendees from all over the West Devon and North Cornwall! Not only were attendees able record their support, see possible future plans for an additional Okehampton Parkway station but crucially have a real feel for how imminent the OkeRAIL restoration project really is. It will cost around just £1 million to fully restore Okehampton to Exeter services. In four years we could have viable, regular services running again. Surveys conducted at the event indicated that almost 60% of attendees would use the service on a daily basis – with 27% going on from Exeter to London and beyond. Additionally the overwhelming conclusion of the event was that the service would not only transform Okehampton but all our principle towns of Launceston, Crediton, Tavistock and to the North, Holsworthy and Bude. Richard Wolfenden-Brown of The Bude & Holsworthy Railway Action Group commented ‘the main surprise is that the line to Okehampton did not reopen years ago. It just seems the obvious thing to happen for so many reasons and the new group in Bude and Holsworthy will do all we can to help our colleagues in the Okehampton area to get the line open with all speed. 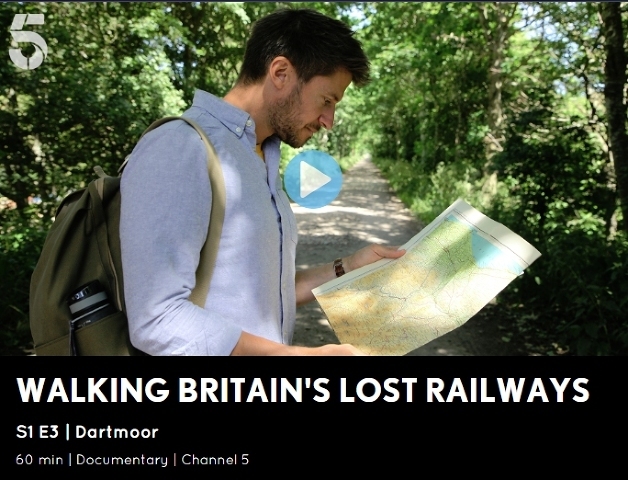 Does this mark the end of 50 years of neglect and abuse of Okehampton rail links? The OkeRail exhibition is turning into a ‘Railshow’ for the region. There will be events at Crediton, Tavistock, Launceston Bude and many others. Support the crowd funding, (over £3,660 has already been pledged) ‘like’ our Facebook page (OkeRAIL) write to your MPs , councillors and especially to County Hall in Exeter. We need urgency in our campaign!